Description : There’s nothing to download. All you need is your web browser. 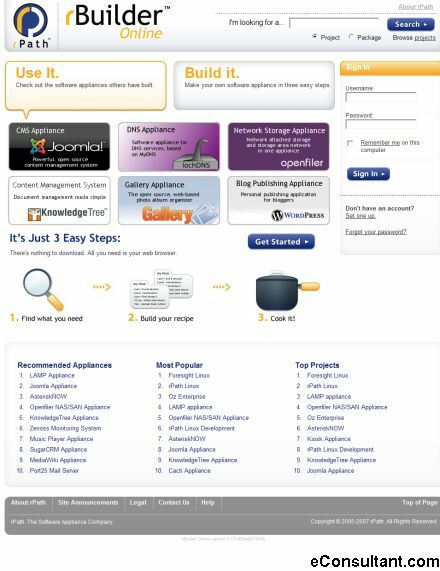 With rBuilder 2.0, software developers can easily create and maintain software appliances for their customers.